Oh yeah, I’m not sure how much I relate to these dynamics either but they sure are interesting. I’ve also only seen Rain Man–and also eaten at Pompilio’s in Cincinnati where Raymond famously counted spilled toothpicks. Someone at the restaurant saved the toothpicks and incorporated them into a mural of Cruise and Hoffman–the later holding an Oscar–driving. The other two I now definitely want to check out, especially The Savages, to see Linney in a Gryffindor scarf. Wow, how have I never heard of this before? In the unlikely event that I find myself in Cincinnati, I will have to check it out. The Savages is well worth watching. It’s surprisingly funny considering the subject matter. These are all excellent picks. Not necessarily easy relationships, obviously, but then, I don’t really believe those exist! I love Rachel Getting Married and I also went with The Savages. Rain Man is great too. Nice picks! Thanks! There were lots to choose fromthis week so it was a lot of fun. My Laura Linney pick is You Can Count on Me. Her relationship with her brother, played by Mark Ruffalo, is intense. I also like Hannah & Her Sisters, Whatever Happened to Baby Jane?, and The Fabulous Baker Boys. All good choices. 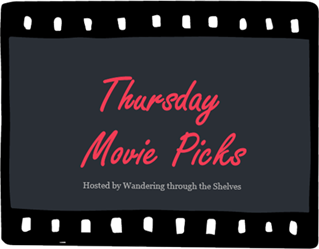 I’ve always wanted to see You Can Count on Me but never got around to it and had been hoping to rewatch Hannah and Her Sisters (probably my favourite Wood Allen) in time for this week’s post but also didn’t get the chance. Love The Fabulous Baker Boys. Excellent picks for the theme even though I don’t love any of these absolutely. 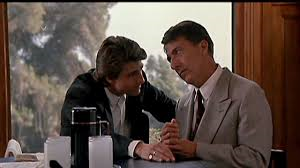 Rain Man is a heart tugger but to me always feels very manipulative, still Dustin Hoffman is terrific in it. I loved the acting in The Savages, especially Laura Linney, much more than the film itself but its still a solid picture. I HATED every minute of Rachel Getting Married. I understand how Rachel Getting Married, not to mention it’s main character, can rub someone the wrong way and I was even annoyed by it myself at some point the first time I watched it but it has become a film that I just love. I believed every minute of it. I don’t really like Rachel Getting Married, but I definitely love Rain Man. Rain is the first drama film I watch from the start to the end. The savages seems to be this week’s sweetheart, but I haven’t watched it. I find Rachel Getting Married feels less like a movie than a wedding that I was actually at where this really sad story unfolds around me. It would be super awkward in real life (actually it’s awkward enough on screen) but really engrossing from the comfort of my own screen. Yes, The Savages is getting a lot of love this week. I had no idea it would be so popular in a category with so many great choices. I have seen all of these and liked them all, too. I would watch all of them again except the Savages. Jay has been kind enough to Name That Film for us. I believe the movie you’re talking about is Ella Enchanted, which I actually haven’t seen. I have seen Les Miserables though and, although I was very impressed with Anne’s performance, found the movie a bit of a chore. Too much bad singing for me and way too many close-ups that don’t let us get a good enough look at the sets and costumes. LOVE The Savages. That one is underrated. Loved Rachel G M and also – not a movie, but Transparent does a great job of portraying sibling relationships!